East 105th Street and St. Clair Avenue will add a grocery store inside a vacant building. It will be part of Cleveland’s East Side Market. “Oh it is a food desert,” said Councilman Kevin Conwell. 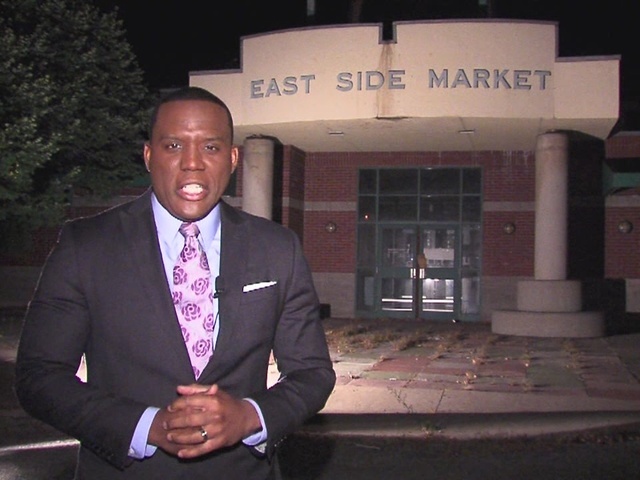 The last time Ward 9 residents had a grocery store was 2007. Conwell said he inherited the problem, but he promised residents he would improve their situation. Instead, corner stores and liquor stores fill the area. “It contributes to a lot if diseases, it contributes to obesity, it contributes to diabetes,” said Conwell. "I look forward to quality,” said Stacey Polk. "We need all of the support we can get." The addition of a grocery store will also help the area financially. "We’re looking at least 50 full-time jobs and 25 part-time jobs,” said Conwell. Conwell said the store will open in the spring of 2016.